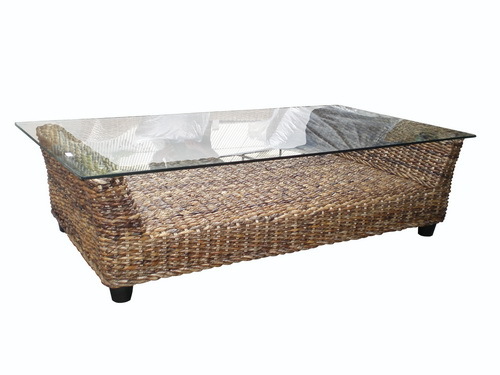 Sahara Coffee Table with glass top. Shown in Banana Weave with dark feet. Shown in the size of 1200 l x 600 d x 450 d, we can also make to any Size and Stain or Weave, for example Bleached Banana, Dark Banana, Rattan, Water Hyacinth etc. Come in and Talk to one of our Friendly Ashanti Staff and see what’s possible.